Konjac sponges have been an underground favourite in beauty for a long time – recommended as a gentle way to cleanse by beauty experts such as Josephine Fairley and very popular in Asia. This weekend I finally managed to road-test one myself, hoorah! The one I tried is from The Konjac Sponge Co, based in the UK and distributed worldwide. This little round product that comes in a simple pouch. Dry, it looks and feels like a pumice stone until you soak it in water, after which it turns a bit rubbery. It’s made with 100% natural konjac fibre (a pure vegetable fibre) from the root of the Amorphophallus konjac plant, making it 100% biodegradable. It can cleanse skin effectively without a cleanser so it’s a VERY eco product as no additional product is required and no residue washed down the drain. But how effective is konjac sponge at cleansing skin on its own? 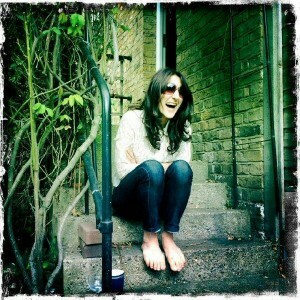 I tried it with a full face of make-up and without, without a cleanser and with. My verdict: It’s very gentle on skin as it massages it really well and doesn’t scratch or irritate it. The rubbery texture is initially a bit odd but it feels so much more substantial than a muslin cloth, which I now find fussy and irritatingly flimsy. This is squidgy enough to cleanse and massage all the contours of the face leaving skin fresh and enlivened. Great for babies too apparently. 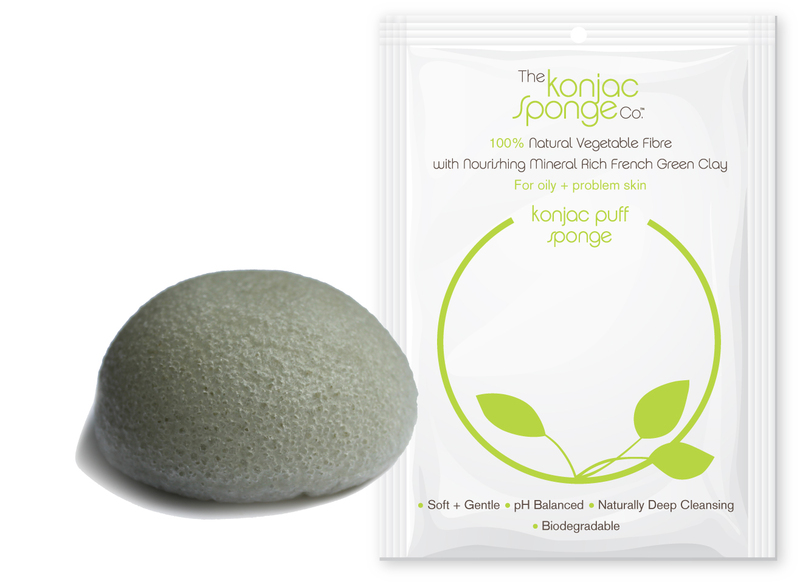 A sponge from The Konjac Sponge Co costs £6.99 and lasts up to three months. Definitely give it a try! It will leave your skin feeling very fresh and cleansed.. Let me know if you give it a whirl, would love to hear what you think! This is a really good idea! I love that its affordable and I agree in comparison to a cloth which I feel does not fully remove all of the dirt from your face, and doesn’t leave my face feeling as fresh as i would like so this is something I will definitely consider trying!